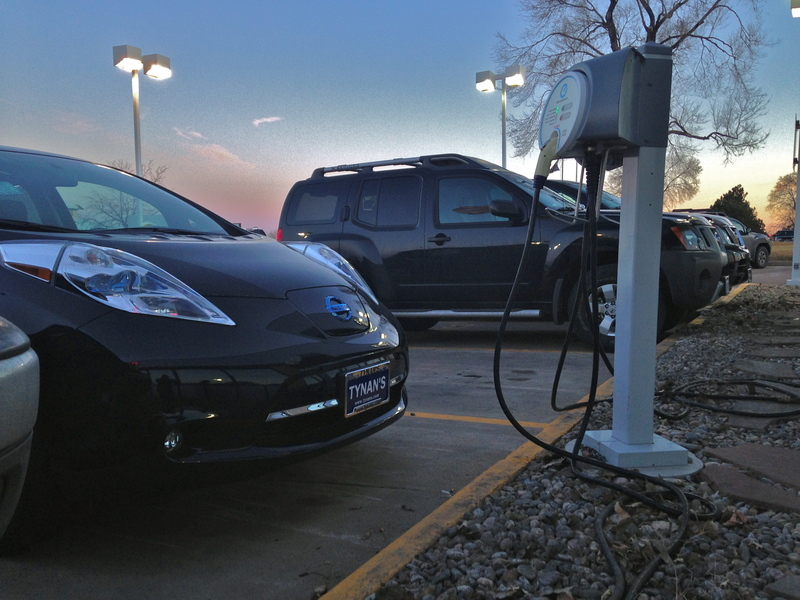 Next week marks the one-year anniversary of Drive Electric Northern Colorado. During these past 12 months, we have been blessed to work with dozens of innovative partners that are committed to making electric vehicle technology the norm rather than the exception in Northern Colorado. One such partner is Tynan’s Nissan in Fort Collins. Next week Tynan’s will be hosting an event with DENC to celebrate our anniversary and launch its new DC Quick Charge station. We invite you to come join us for this exciting event on Thursday February 27th, 2014 at Tynan’s Nissan, 5811 South College Avenue, Fort Collins, CO 80525. Tynan’s has a rich history in our community. In 1963 Ed Tynan Sr. opened the first Tynan’s lot in Aurora, Colorado. Working with his family, he expanded the company throughout the state. 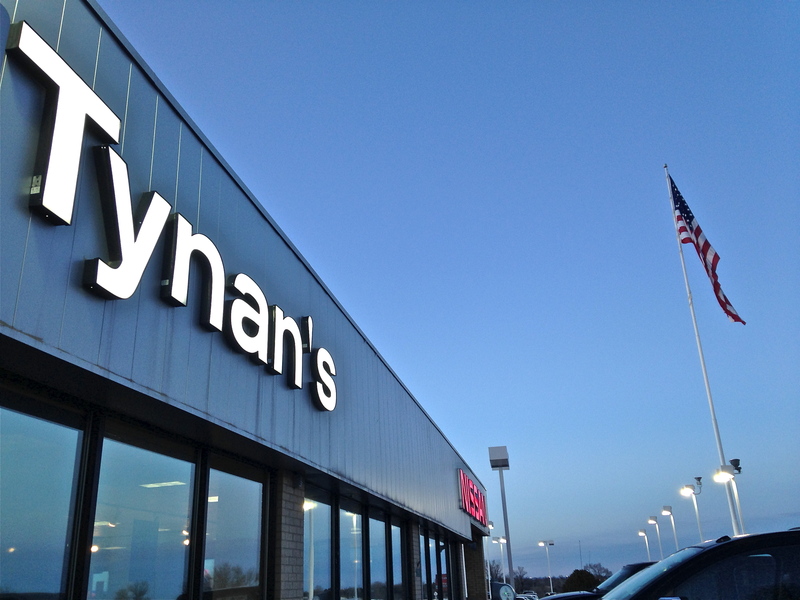 Today, almost 51 years later, there are four Tynan’s dealerships in Colorado: two in Fort Collins and two in Aurora. The company remains, as its motto states, “Family owned and operated since 1963.” The current owners—Sean, Matt and Ed Tynan—run each of the dealerships in keeping with Ed Senior’s vision. They all meet customers on a daily basis, asking questions and ensuring that each visit to Tynan’s is the best experience possible. That now means providing some exciting new vehicle offerings. 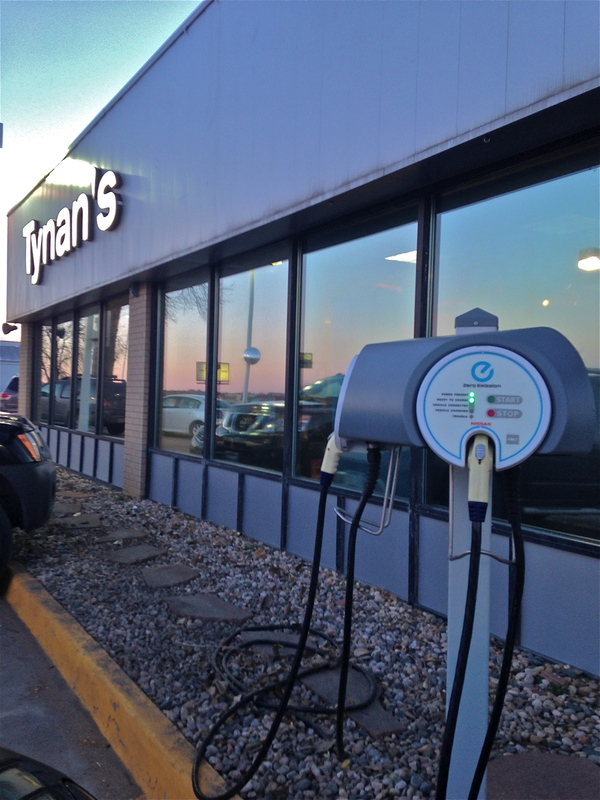 In the last year, Tynan’s has installed Level II charging stations and has just recently installed a DC Quick Charger. The chargers allow the dealership to have the LEAFs charged and ready for their customers whether they request a test drive or are ready to take a LEAF home with them. They regularly see customers charge on a daily basis, and have even had customers stop in to the Tynan’s dealership for a cup of coffee while their LEAF charges up after a trip from Denver.